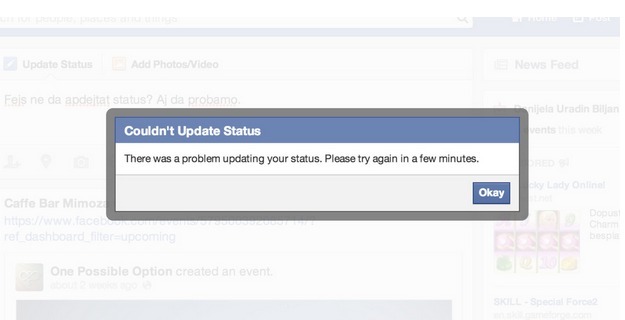 Suddenly, from Monday morning, Facebook suffers sitewide errors for users. As a result many users couldn’t update their status, post any comments, upload any photos or videos and some people didn’t send any messages. Meanwhile, the news ticker at the top of the chat box also disappear !! According to Mashable report, they tasted the issues from several global IPs and found the same problem which mean that facebook errors are sitewide and globally.